I confess it – I used to have no idea why certain elements of the black metal brotherhood worship Agalloch as if they’re the greatest thing since Ulver. Past albums have been technically sound yet emotionally mawkish to these stubborn and cynical ears, the various accusations of ‘contrived sound’ and ‘crap vocals’ that come from rebellious sorts seeming quite true. I found that far better acts lie in the Neofolk realms, doing far more interesting things with acoustic instruments – it is admittedly an unpopular view in metalhead land, but why not be truthful? I’d struggle to give any of the band’s past albums a 90, let alone view them with such rapturous perfection as they receive generally. So, in such a context, the knowledge that the band’s 2010 album Marrow Of The Spirit was lying forlorn and unreviewed didn’t exactly inspire me with much confidence. Still, I’m nothing if not adventurous, so threw it on and was quietly blown away, to the point where a back catalogue re-examination is in order. Where once Agalloch seemed insipid, they are now inspired, where once they whined, now they declaim with passion and grace. The soft, pastoral intro They Escaped The Weight Of Darkness aside, folk is fused into the very spirit of black metal here. Into The Painted Grey is opened by cascading blastbeats, vanishing as quickly as they appear into a lush melodic interjection, guitars writhing against each other before being joined by acoustic counterparts and percussion. In the past, comparisons have been made to Opeth for this sort of folk/metal counterpart style, something I’ve always rejected because the Swedes made it sound far more natural. Here, though, a natural flow carries the songs along, new elements being introduced and quickly absorbed into the song’s all-encompassing drive. The key word here is ‘natural’ – whether the band include sampled babbling brooks or not, the atmospheric effect is the same. From melodic peaks that turn to furious valleys, lush acoustic strums that turn to riff-hewn thunderstorms, Agalloch have a firm grasp of their art’s ingredients, and paint with passion. A more perfect depiction of icy forests you will be hard-pressed to find, that cover art summing the music up well. Black metal is typically brilliant at depicting nature as something to be feared, a ‘lost in the woods’ feeling of loneliness and despair. Agalloch, conversely, see nature as something pleasant, the positive effects of a walk in a wintry forest – I’d actually compare them to Drudkh rather than Opeth for this ability to see nature as something awe-inspiring and beautiful rather than terrifying and malevolent. The difference is, of course, that Agalloch lack Drudkh’s patriotism, and see nature as something to be enjoyed rather than owned. They’re even more willing to experiment than the Ukrainians, too, going beyond The Watcher’s Monolith and its post-black riffs into a state of broad-minded frenzy with Black Lake Nidstång. Drone, ambience, post-rock, doom – the four are melded into a mournful unity, sweeping majestically through ominous terrain into a psychedelic rush of melody, ending with a burst of metallic grandeur. The late-Isis plucking that opens Ghosts Of The Midwinter Fires too is a pleasant surprise, building into a delightful prog-hewn structure with an old-school melodic death sound to the guitars, vibrating enjoyably for the full nine-minute plus running time. Whatever else you say, you can’t deny that the band have an arresting ability to fill their lengthy songs with compelling music. Yes, the hardest thing to get over are the vocals, throaty snarls that at first seem completely out of place, but gradually grow on you. Large sections of the album are completely instrumental, however, the vocals only added atop various crests and peaks that are quite capable of hypnotising without the distraction of the human voice. Perhaps that’s the metaphor; nature best left unspoilt by our brothers and sisters of the species, only acknowledging their existence every so often to contrast with the natural unspoilt beauty or to provide a narrator that the listener can identify with. In any case, Agalloch’s music is the very depiction of that urge we feel come the cold months, to wander outside and enjoy the frost-hewn earth and skeletal trees – yet with a sense of hope at the life that will return before long. If their albums depict seasons, then Marrow Of The Spirit is the end of winter, with spring’s thawing embrace just around the musical corner. 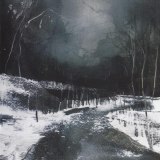 Whether spring and summer lie in this band’s path next, whichever direction they and we are led, Agalloch are sure to make something which will convert more of the dubious, as they have with me here.